Periodontal Disease and Breast Cancer | Danny D. Poore, D.D.S. 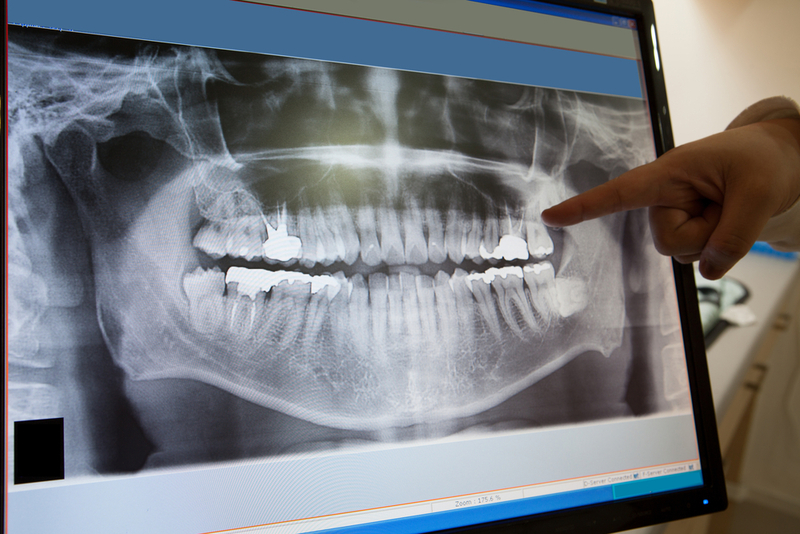 As most of you know, your oral health is linked to your overall health. The study, Periodontal Disease and Breast Cancer: Prospective Cohort Study of Postmenopausal Women, found that women with periodontal disease were at a greater risk of developing breast cancer. According to the researchers, the risk of breast cancer is 14% higher in women with periodontal disease. One possible reason for this increased risk is that the bacteria from the mouth can enter the body’s blood stream and affect the breast tissues. Additionally, microbes typically found in the mouth, are also present in breast tissues. Further studies are needed to fully understand the relationship between periodontal disease and breast cancer. This study reminds us of the importance of seeing your dental hygienist regularly. Let these health professionals help protect your overall systemic health by keeping your gums and teeth healthy. Please consider how consistent home dental care and regular dental visits can assist in your overall health. Pingback: Regular Dental Care | Danny D. Poore, D.D.S.